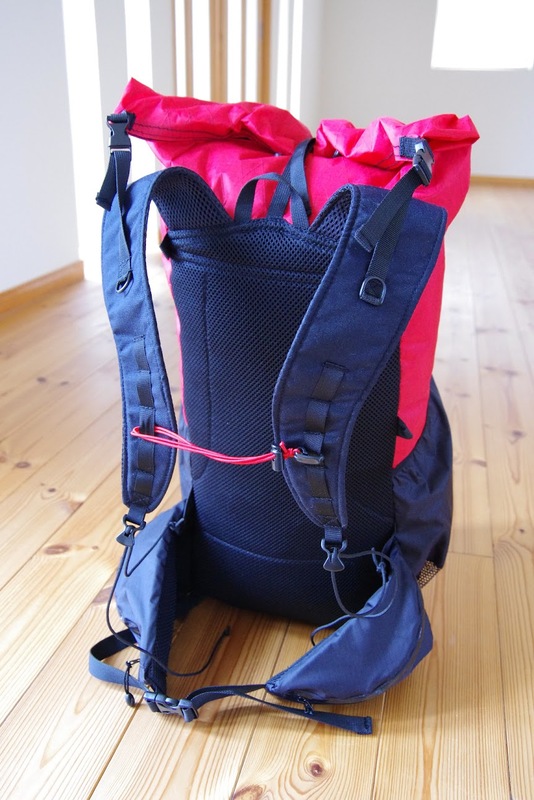 The design of the packs follows elements familiar to many other UL backpacks. 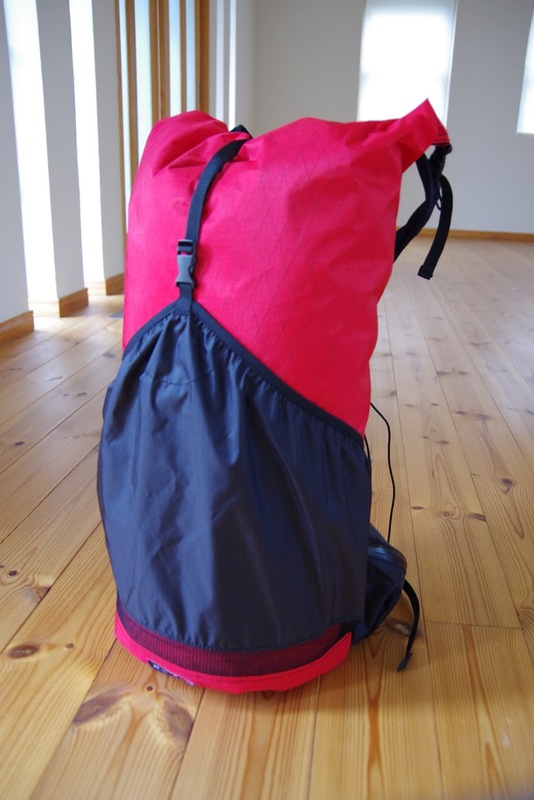 A large central compartment with top closing and external pockets of various designs. In addition to this there are multiple choises of extra add ons available. Some of these are quite innovative, check out the Joker Hat top closure system that doubles as a load lifter strap! After browsing the pages for a while I really couldn’t resist the urge for yet another backpack. I decided to order a smaller pack for shorter, fast trips. The KS IMO pack looked perfect for this. Recently i bought a Zpacks Arc Blast for my longer trips so I have a need for a backpack that fits this niche, at least thats what I tell myself. The Arc Blast is also heavy modified and I expect its weight to land around 600 gr. I mailed Laurent for some information regarding materials and different add ons and soon had decided for a design that balanced comfort versus weight. The pack is supposed to sit tight on my back even with a light load so I went with both a padded belt and back, adding some weight to the small backpack. Satisfied with this I placed an order. There was just one thing nagging at the back of my head, delivery time. This is understandably always a problem with small manufacturers making custom fitted gear in small quantities. But the answer from Laurent put a big smile on my face, “just a couple of days”. On monday, just a couple of days later an email was waiting in my inbox. “Hi Jon, Your pack was sent today by registered mail parcel …” . There were also two photos attached to the mail and a video presentation was already uploaded on the company’s Youtube-channel. Unfortunately my french is not as good as one could hope but at least i got to se my brand new IMO pack in all its glory. With all modifications and including postage the final price was about 170 €, totally reasonable for this kind of product considering the materials and uniqueness. Final weight was 290 gr, a bit much for such a small pack i but i deliberately added some options that I knew would make it heavier. So now I am waiting for the Japanese postage service to deliver my small pack. I do hope that it holds up to my expectations, but I will have to get back with a report on that. This entry was posted in Gear and tagged backpack, Cottage industry, Imo Pack, Japan, KS Ultralight Gear, Laurent Barikosky, ultralight backpacking, X-Pac, YouTube by Jon. Bookmark the permalink.